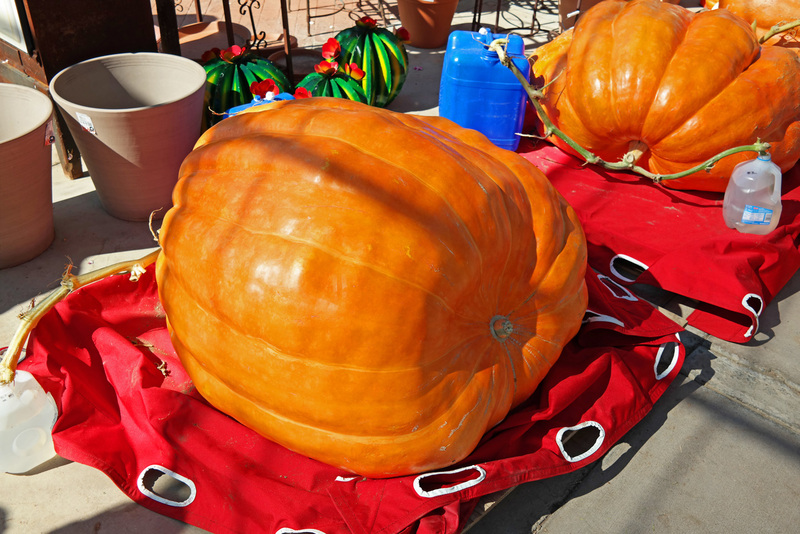 These monster pumpkins can grow 12 to 15 pounds per day even in the Arizona desert! 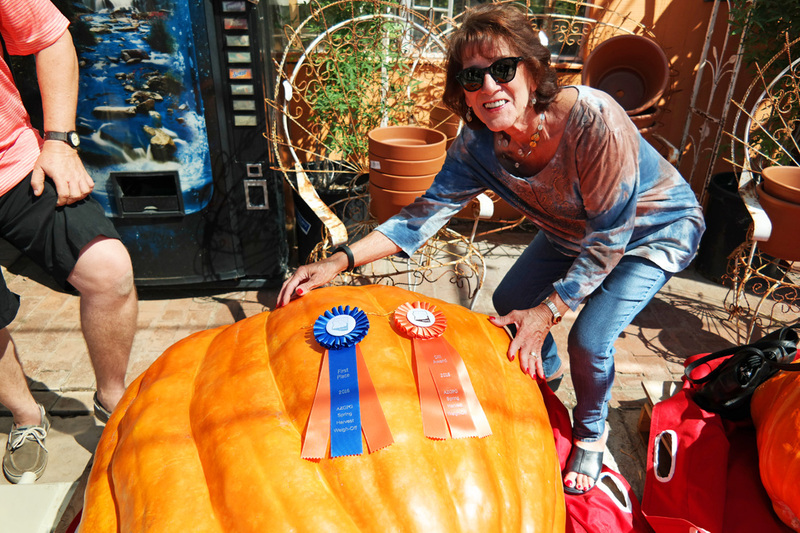 The largest Arizona pumpkin for 2016 weighed in at a staggering 410 pounds! 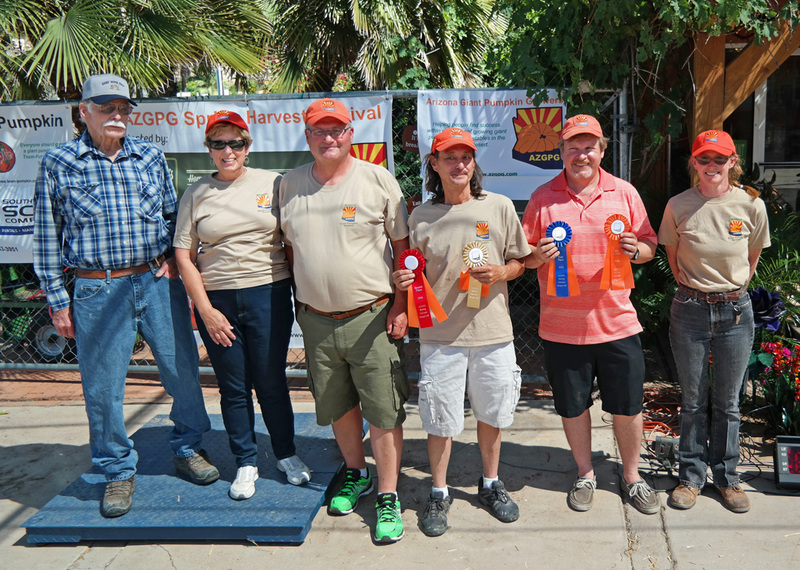 Judges and Arizona’s giant pumpkin winners (l to r), Lee Perry, Linda Astromowics, Dean Baker, Ron Watkins, Dave Smith, and Wendy Woodward. 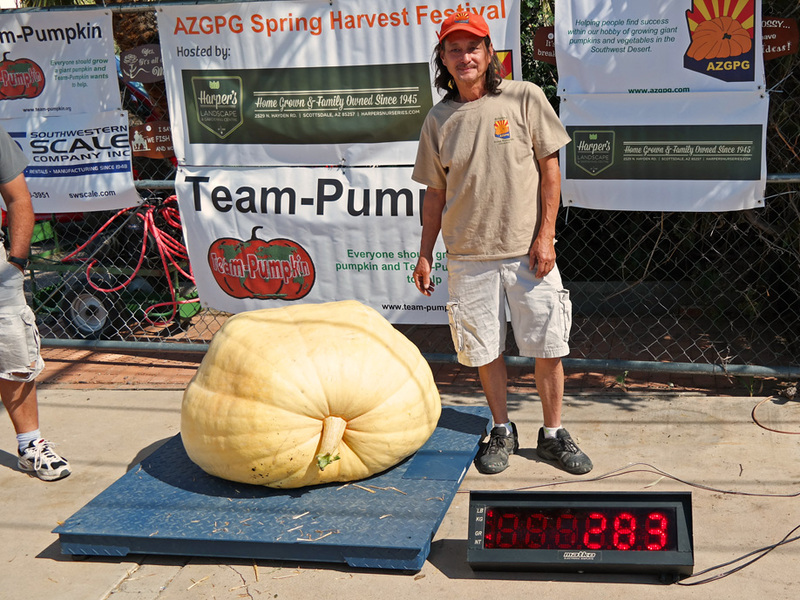 The largest Arizona pumpkin for 2016 was grown by Dave Smith and weighed an amazing 410 pounds! 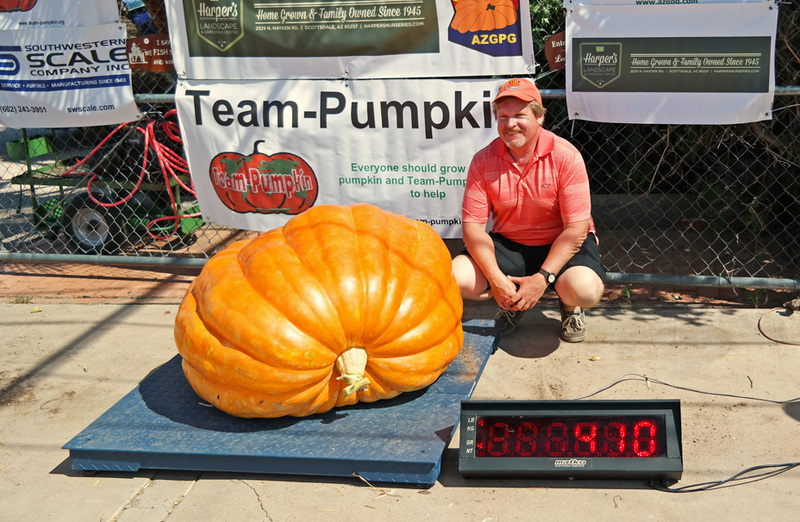 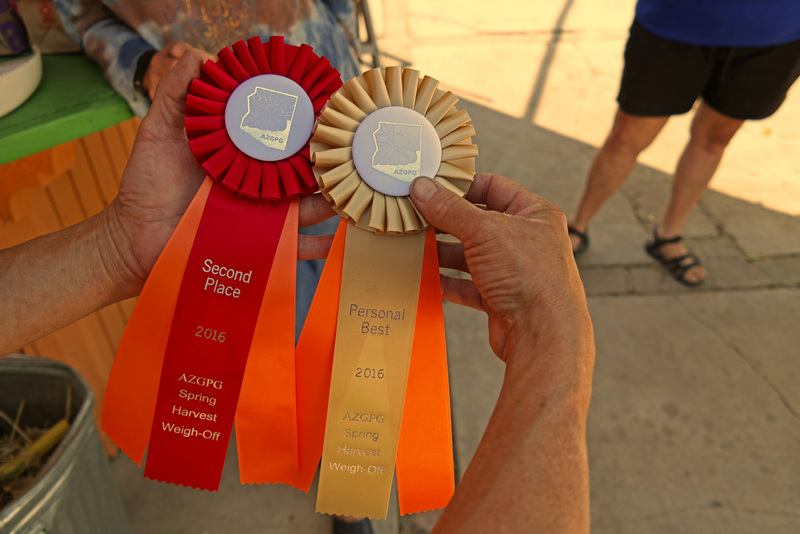 While huge, it still came in a little short of the all time record for Arizona pumpkins when Dean Baker’s giant pumpkin weighed in last year at a massive 486 pounds. 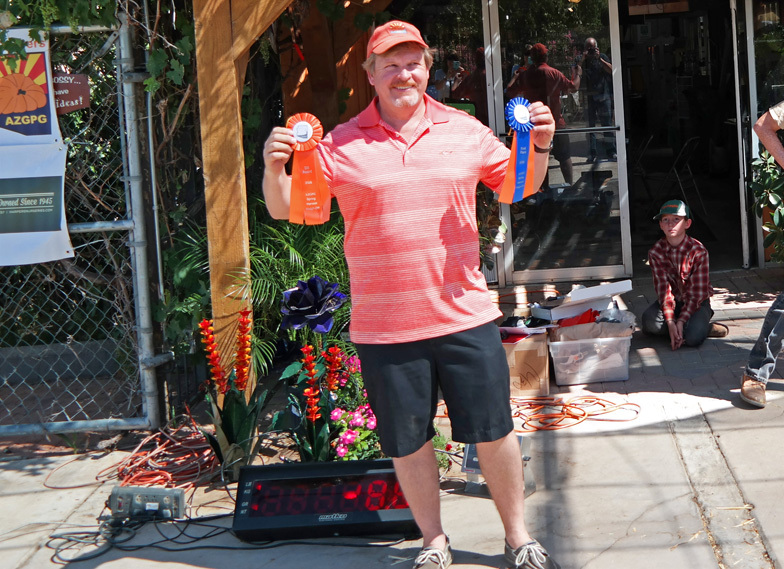 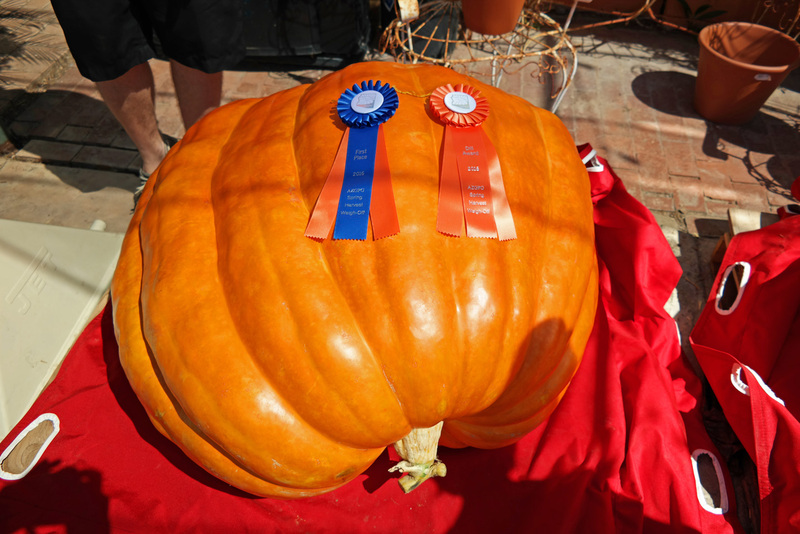 Who will be the first to break the Arizona giant pumpkin record, and will it be with a 500 pound pumpkin next year?